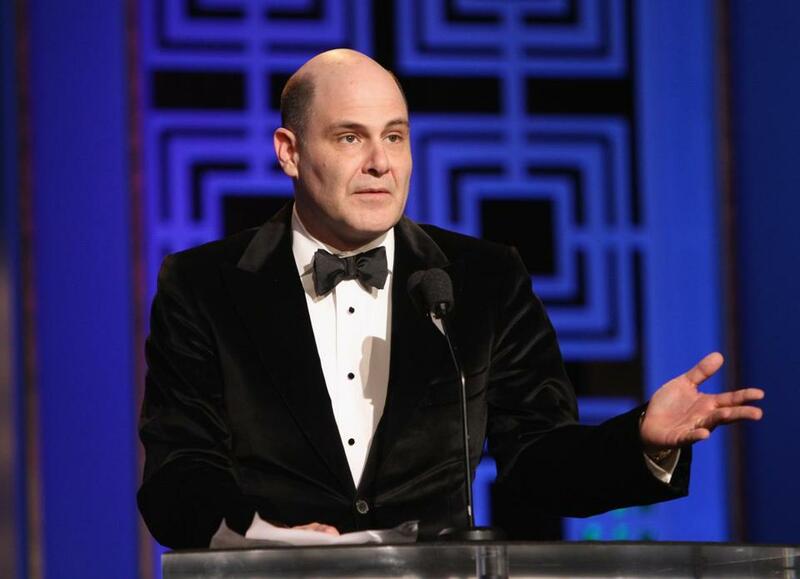 “Mad Men” creator Matthew Weiner often explains episodes after they are broadcast. It has been six years since “The Sopranos” left the air with a big fat nothing. The black screen at the end of the finale provoked fury from many fans and praise from a few, including me. I saw that last curtain as a twist on the tabula rasa, a blank slate onto which viewers could project their feelings about justice. During the show’s run, the writers consistently let us make our own judgments, rather than judging the characters for us. This was their final statement: You decide whether or not these characters get punished. And show creator David Chase left it at that. He declined to talk about what he meant by the closing minutes of his ground-breaking series, even while fans raged. He refused to detail his intentions. The day after the finale, he gave an interview to then Star-Ledger and current HitFix critic Alan Sepinwall, and his words were simple and direct: “It’s all there.” Chase had folded his ideas into his work, then sent that work out into the world for our consumption and interpretation. He detached himself from what viewers were making of the ending, resisted the pressure to tell us what to think. “It’s all there” such a simple, direct statement. In retrospect, it was a brave choice, and a refreshing one, too. Chase’s hands-off approach now feels quaint, as we head further and further into the age of talking showheads. These days, TV executive producers and creators are often eager to jump into regular conversations about their series, offering more than just the occasional insight. They’re doing ongoing spin control, to some extent, talking to media outlets the morning after an episode in order to shape what their show’s fans think. The critics and recappers become their disciples and disseminators, spreading the tidbits far and wide. It started in earnest during the run of “Lost,” when executive producers Damon Lindelof and Carlton Cuse positioned themselves to explain plot points and character traits that seemed vague. The likable pair spent a lot of time clarifying intentions, justifying glitches, and describing trends, both to various publications and in the regular “The Official LOST Podcast.” This wasn’t a fan-based exploration of “Lost,” it was a producer-led phenomenon from those who knew, more or less, what would be coming in future episodes. Following in their footsteps, honchos such as Matthew Weiner of “Mad Men” and Shonda Rhimes of “Grey’s Anatomy” and “Scandal” now frequently engage in post-air explanations, especially during finale season. 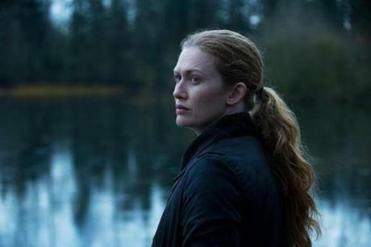 Matthew Gilbert’s picks for what to watch this week. I don’t blame them, in a way. For one thing, they’re helping to dig up publicity for their work. In the post-“Lost” era, fans are ready to talk about their favorite shows on the Internet every week, and feeding them interviews with actors is no longer enough. Actors don’t hold the spoilers; they’re often as distant from the inner workings as regular fans. Showrunners, writers, and producers are doing the masterminding; with the ad-free cable revolution, they have gotten more and more control over their material. People such as Weiner can help keep the culture around their show vital, appearing online or on radio or in a press conference with TV writers after an episode, to share their thoughts. But are they leaning on a crutch by using public chats to fill in blanks and elaborate on characters? These interviews aren’t just part of the onslaught of advance media that precedes most new shows; they are after-game efforts that often react against public opinion. After the season 2 finale of “Homeland,” executive producers Howard Gordon and Alex Gansa talked to the press and answered questions about specific plot holes. “Not to defend the show,” Gordon said, “but in our minds, we have answers to why everything happened.” But shouldn’t it all be in the show? And if it’s not, shouldn’t we be filling in the gaps? I’d rather tease out those interpretations, or something a little different, without the creator’s clarifications. The rampant online hyper-analysis of series such as “Mad Men” is a great thing — it’s an exercise in intense observation, of watching TV with your mind turned on, of understanding human behavior in a microcosm, of comparing those thoughts with others. The shows are so well written, they hold up beautifully under scrutiny and dissection. They even provide an opportunity for TV critics, including this one, to prove that they deserve honorary PhD’s in literature. But once a piece of art is done, and its creator lets it go into the world, it is ours to make of it what we will, as reader response literary criticism might have it. Sometimes, when songwriters refuse to explain their lyrics, it seems precious. But I get it. They’re letting us make their songs our own, encouraging us to bring our own meanings. “It’s all there,” they’re saying, and now it’s all yours.